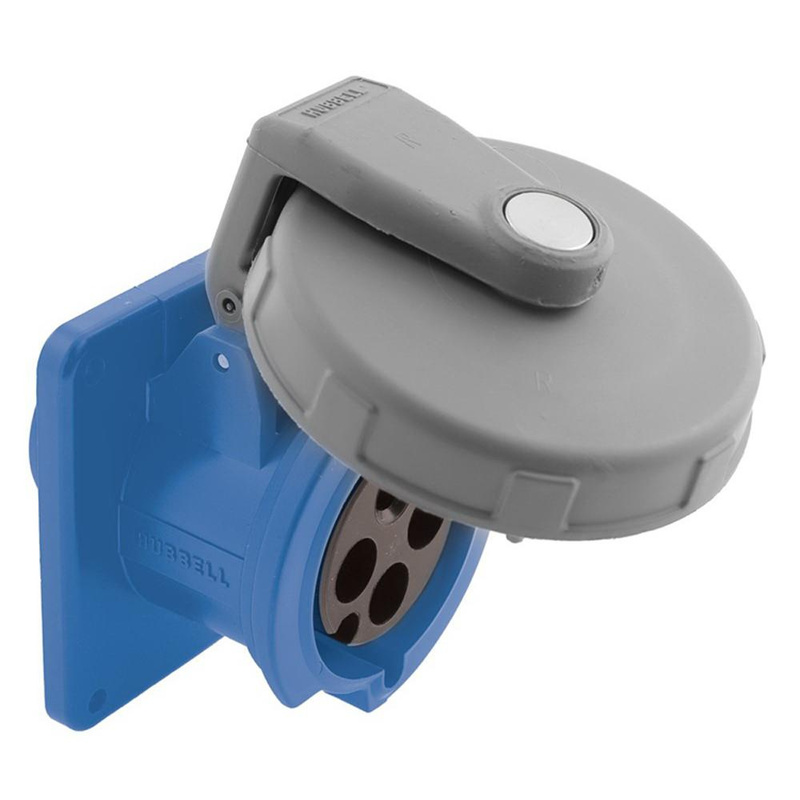 Hubbell-Wiring Polarized 3-Pole 4-Wire pin and sleeve receptacle in blue color, has current rating of 60-Amps and voltage rating of 250-Volts. This industrial grade receptacle with pressure screw terminals connection, accommodates wire of size 8 - 2-AWG. It has Zytel® 101 nylon construction for super tough application. It has a dielectric strength of 3000-Volt AC. Screw mountable receptacle has power rating of 15000-Watts. This receptacle has high-impact thermoset contact carrier and retainer. It is ideal for high ampacity water-tight connections. It withstands temperature rating of -40 to 75 deg C. It has a flammability rating of HB per UL 94 or CSA C22.2 Number 0.17 to withstands hazardous environmental conditions.